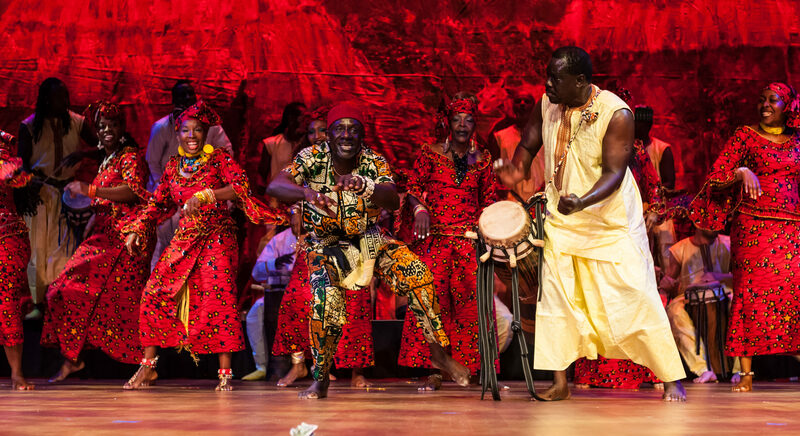 Hundreds of participants from across the country will visit the nation’s capital August 31 – September 2 to partake in three days of intense workshops in traditional African dance and drum, taught by master dancers and drummers from Mali, Senegal, Liberia, the Congo, and Guinea. Mabiba Baegne, Fode Bangoura, Mariama Basse, Marie Basse-Wiles, Fode Camara, Mouminatou Camara, Idy Ciss, Kadiatou Conte, Souleymane Diop, Zak & Naomi Diouf, Madiou Diouf, Medoune Yacine Gueye, Youssouf Koumbassa, Assane M’Baye, Babacar M’Baye, Babacar N’Diaye, Cheikh N’Dong, Balla Sy, Brigo Gueye, Abdou M’Baye, Mar Gueye, Magette Sow, Oumou Faye, Elhadji Mbor Faye, and KanKouran’s own, Assane Konte. RESERVED SEATING. GET YOUR TICKETS EARLY!